Welcome to the Microtel Inn & Suites-Bentonville. 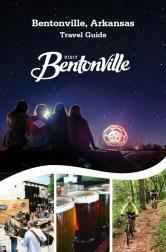 Centrally located to everything Northwest Arkansas has to offer. Whether for business or pleasure, Microtel has what you need for a comfortable stay all without breaking the bank. With the Microtel Inn & Suites chain being ranked "Highest in Guest Service and satisfaction ten years in a row among Budget/Economy Hotel Chains" by JD Power and Associates, Microtel invites you to "be our guest" and experience a better place to stay. Description Our hotel features 1 meeting room, which can be arranged to accommodate 80 conference guests.